Are you ready to comply with the new Joint Commission patient monitoring mandate? Wonderful! In most cases, you’ll be able to start receiving patient-reported data within a few hours! Sign a Business Associate Agreement (BAA) in which Vista agrees to protect your patients’ sensitive health information and comply with HIPAA regulations. This agreement can be created and signed online in two minutes. Decide which employees need access to INSIGHT’s website. Give us the names, email addresses and titles of the employees in each of your programs who need access to INSIGHT. For each person, please specify whether they are a primary counselor responsible for specific patients as well as whether they should be able to access the protected health information for just their own patients, all patients in the program, or none at all. This last category should be used for data collection staff members responsible for enrolling patients in the program and keeping their information up-to-date, but who do not need to see the patient data itself. Provide your payment information. Please call (800) 215-3201 x701 with your bank account information. We will invoice you no later than the 28th of each month and automatically deduct your payment from your bank account on the first of each month. As soon as we’ve received this information, we will typically be able to set up your INSIGHT program the same day. However, during particularly busy periods (such as the 4th quarter of 2017), we have been forced to implement a wait list. Please don't wait until the last minute to sign up! To schedule a free training session for your staff, please sign up here. Alternatively, your staff can watch short videos on how to use the INSIGHT website (6 minutes) and how to log in for the first time (2 minutes). Signing up locks in your per-patient pricing for the next year. You can cancel INSIGHT and/or RECOVERY 20/20 for any reason with 30 days notice. 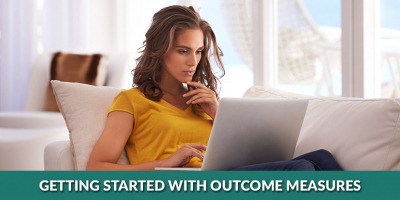 Ready to Start Using Outcome Measures?